We're proud to announce xTuple, developer of PostBooks open source ERP, as a new BitRock customer! 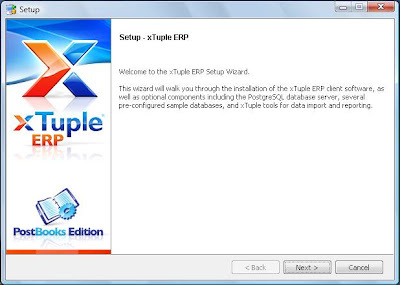 xTuple approached BitRock to help make PostBooks, its award-winning open source ERP, accounting, CRM and reporting software, easy to install. The new BitRock Custom Stacks for PostBooks are self-contained installers that fully automate the installation and configuration process for PostBooks ERP, making it easy for even non-technical people to take the freely-available software for a spin. To download PostBooks or sign up for a demo of the Standard or Manufacturing editions, visit xTuple.com. In addition to the new easy to use installers (known as Custom Stacks), xTuple is also leveraging BitRock's Network Service to better service its large and growing user base. The Network Service enables xTuple to communicate new releases and other important messages to users while getting better visibility into how PostBooks is being deployed to improve product development and support.